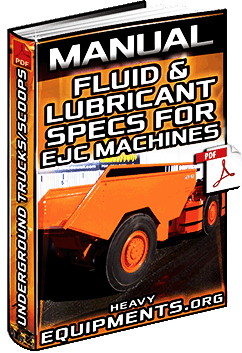 Free Download Manual for Fluid & Lubricant Specifications for EJC Underground Trucks, Scooptrams & Scoops in Full PDF. Informative Video for the World's Largest Mining Trucks - Hitachi, Liebherr, Komatsu, Caterpillar & Belaz - Overview. Informative Video for the biggest Heavy Equipment in the World - Liebherr, Caterpillar, Hitachi, Letourneau & Komatsu. 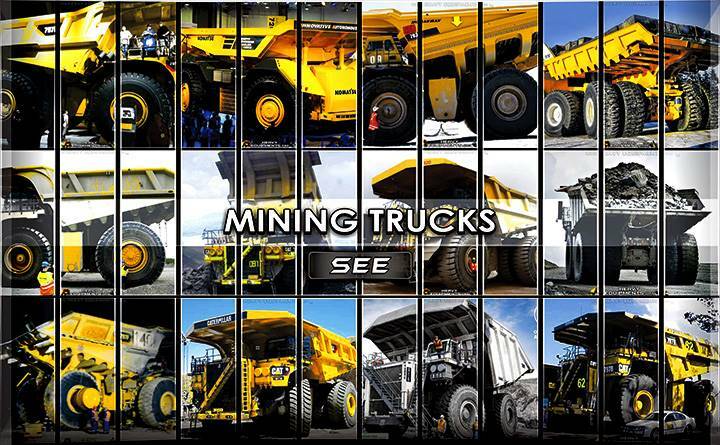 See Mining Trucks Photos & Images. 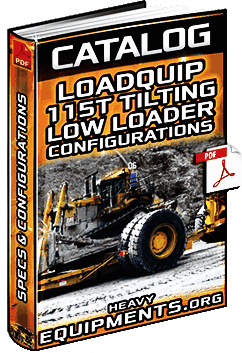 Free Download Catalogue for Loadquip 115T Tilting Low Loader - Specifications, Configurations & Mechanical in Full PDF. 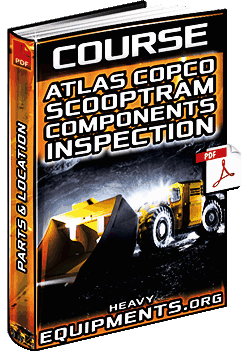 Free Download Course: Atlas Copco Underground Loader Components - Operator's Cab, Systems & Inspection in Full PDF. 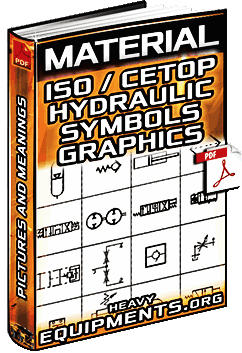 Free Download Material for ISO & CETOP Hydraulic Symbols - Graphics & Meanings in Full PDF. Free Download Catalogue for Kress 200C II Mining Truck (Coal Hauler) Specifications in PDF and Full.